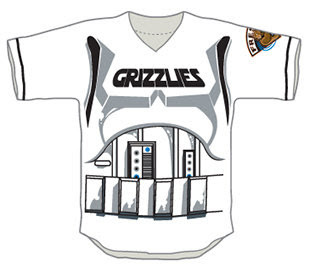 1&2: Fresno Grizzlies; 3: starwarshelmets.com. Yes, there's a site called starwarshelmets.com. Ryu's pitching for us today? But, I'm trying to figure the starting line up for the isotopes in August. Any help? Why do a Star Wars jersey when Star Trek so fully embraced baseball? 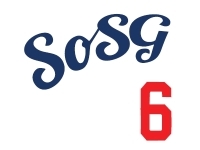 PoD: All I know is it won't have Puig in it. Diamond: A fine question for the folks at Paramount. Would have made a nice tie-in with the new movie.